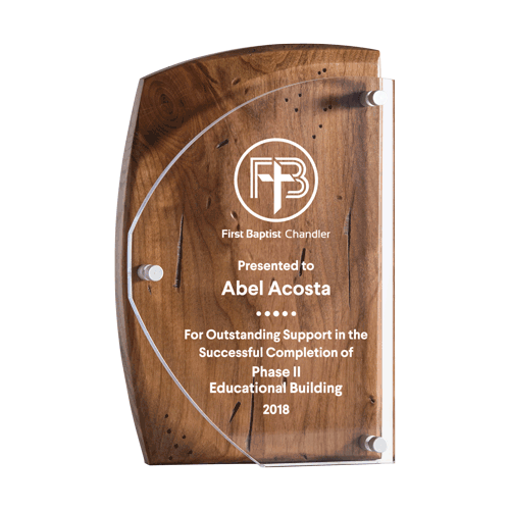 Our Catalina Acrylic Award with a distressed wood background - is quite honestly remarkable! A hand finished antiqued wood trophy combining laser cut and hand polished acrylic cover that floats gracefully above the wood making a unique one of a kind corporate recognition award. When only the best will do - try the Catalina and see the power of recognition.